Fred Gingrich, D.Min., is Professor of Counseling at Denver Seminary. From 2007-2015 he was chair of the counseling division. He is an approved supervisor of the American Association for Marriage and Family Therapy. He earned his doctoral degree from Eastern Baptist Theological Seminary (now Palmer Seminary), his MA from St. Paul University, and his BA from Carleton University, both in Ottawa, Canada. He is married to Heather Davediuk Gingrich, also a Professor of Counseling at Denver Seminary, and they have two young-adult, bi-racial sons, and a 3-yr. old grandson, whom they are raising. In 2005, he and his family returned to North America after eight years of service as professor of counseling at Alliance Biblical Seminary (now Alliance Graduate School) in the Philippines where he directed the graduate programs in Christian counseling and marriage and family ministry. He also developed the Ed.D. in Counseling program offered by the Asia Graduate School of Theology. Prior to his work in the Philippines, he taught at a Christian college and worked with counseling practices in Ontario, Canada. Currently, he participates as a Senior Associate for the Institute for International Care and Counsel at Belhaven University (www.belhaven.edu/careandcounsel). He has written a number of articles in secular and Christian publications, and presented at professional conferences in the areas of marital and premarital counseling, counselor supervision, integration of counseling and theology, cross-cultural counseling and member care. 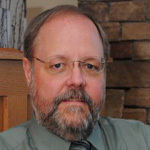 He has co-authored/edited two CAPS/IVP books, Skills for Effective Counseling: A Faith-Based Integration (2016), and Treating Trauma in Christian Counseling (2017). He is currently working on a co-authored book, tentatively entitled, Global Mental Health: Expanding the Church’s Transforming Mission.